When you’ve been arrested for a DUI in Utah and you don’t think it’s fair, you need a lawyer who can protect your rights…make sure you’re treated fairly…and who knows how to get results. You’ve just found that lawyer. Your Driver License, your career, your criminal record, and even your family relationships are all on the line. To be honest with you–you’re faced with a charge which can have serious outcomes. I don’t want to scare you, but let me give you a glimpse of what’s in store for you. If your case goes the wrong way you could lose your license…your insurance could go up or be cancelled…you could even go to jail. If you are wondering if you should higher a local attorney or an attorney who focuses on DUI Defense, consider whether you would want the closest doctor to do surgery on you for a life altering procedure, or if you would want the best doctor you could find. While I am a DUI Attorney based in Ogden, I travel all over the state. I have defended people accused of DUI as far south as St. George and Kanab, and as far North as Logan and Randolph. Hire the best Utah DUI Attorney you can afford. 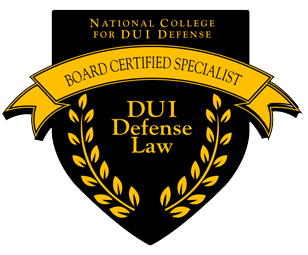 I have been defending people accused of DUI since 1998. 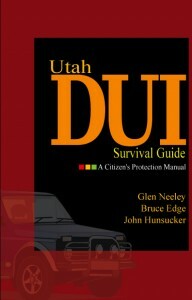 As a Utah DUI Attorney, Board Certified in DUI Defense, I have authored the only Book in Utah on DUI Defense for lawyers. 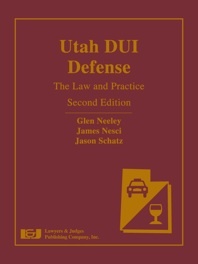 The book is now in its second edition titled “Utah DUI Defense: The Law and Practice, Second Edition.” This book is designed to help other lawyers in defending people accused of DUI. I further authored the “Utah DUI Survival Guide.” This book is designed for the citizen accused of a DUI to help the understanding of the process and the procedures of being changed with a DUI. Do not hire a lawyer, go to court, or talk with a prosecutor until you read my book. Request my FREE book by sending me an email request or calling 1-801-612-1511. I will forward you a copy at no charge and no obligation. I will also help you take the first step in your DUI case to request a Driver License Hearing. Sure, I can just fill out the forms and talk to the District Attorney, but in many cases the best choice is to fight. That’s the kind of case I focus on. My goal is to get you off, to keep your record clean, and to prevent you from losing your freedom and your license to drive. You see…my practice is based on the belief that you were arrested when you shouldn’t have been. The prosecuting attorney prosecutes these types of cases all day. He knows–and is willing to use against you–all of the fine legal points that are available to him. The law says that he only needs to prove that after drinking you were not able to drive your car safely or that your blood alcohol exceedes a certain limit. That sounds pretty cut and dried, but it’s not quite as simple as that. You see, if challenged, the prosecutor also has to show that the arresting officer made the arrest properly, that you were properly advised of your rights, that the equipment he used to test you was working accurately, and even that the person operating that equipment was certified to operate it. If he gets information which may prove you innocent, an attorney can make him give you that information also. As one of the top DUI attorneys in Utah, I know how and where to make the proper motions which force the prosecutor to prove that all the steps used in your arrest were done properly. If they weren’t, then his case is weakened. When you retain me you’ll get expert legal help from an attorney who knows how to guide your case through the complexities of the legal system because I’ve done it numerous times. The District Attorney provide us with the name and address of anyone he plans to call as a witness, as well as copies of every written or recorded statements of their testimony. This will allow us to prepare our questions for them. The DA provide us with any information or material he has which would show that you are not guilty of the charges against you, or which may help you get a lighter sentence. On proof that you were advised of all of your rights. If you weren’t, the DA’s case may be weakened. I talk to the District Attorney beforehand to get him to produce his proof and let him know that I will be contesting in court all these points I mentioned. 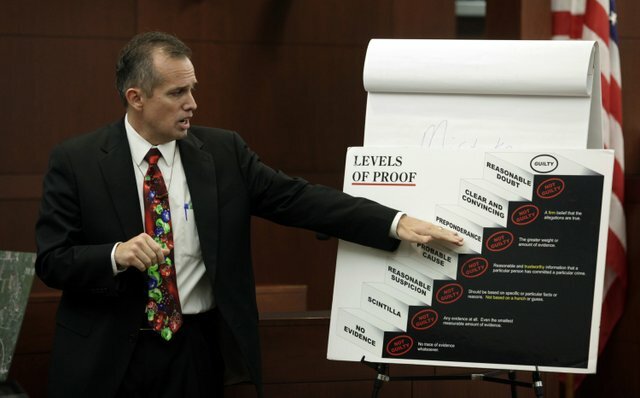 When his case is challenged, he has to take a lot of time producing this material and witnesses. As you can see, what looks simple gets pretty complex. As your attorney I will look into all ofthese things for you so that you will have the best possible case. You’re probably like most people arrested for a DUI. You don’t really know the right thing to do about it, and you don’t know whether or not you can win if you contest your arrest. For both of these reasons, I’d like to buy you a free consultation to give you the additional information I just mentioned and to review your case. If you would like to meet with me, I will be happy to set up an appointment with you. That way you’ll be able to learn all you need to know about your situation. This telephone or in-person conference — which would normally cost $250 — is free to you, will last about an hour, and there is no further obligation at all. In fact,until you agree, in writing, to hire me, you will never owe me any money. When we talk, I will analyze the facts of your case, give you my opinion about it, and discuss my approach to it. I’ll explain how we’ll protect your legal rights, what your options are,and how the whole judicial process works, so you’ll know exactly what happens. Plus, you’ll learn how I will guide you through the court system and how I’ll champion your rights, using all my ingenuity and the options in the legal system to defend and protect you. For example, I’ll review the Complaint against you…the steps which were used to conduct the chemical and roadside tests against you to determine if they are valid…and I’ll show you how the police officer’s testimony can be discredited. I will also tell you about my fees. (Please see my fees information page). Anything you tell me during this and all other meetings will be confidential, whether or not you retain me. Personalized attention. I’ll return your phone calls promptly, keep you informed, and answer all questions to help you put the pieces back together. Reasonable fees, and you’ll know in advance how you’ll be charged. Experience. Since 1998 I’ve helped people just like you. So, if you want an attorney you can talk to, who understands what you want, who is interested in you and your situation, and who fights to get you results, call me today at 801-612-1511 for your free consultation. The first meeting is free, so there is no risk on your part; and you’ll be able to get all your questions answered. When we are finished, if you’re not convinced that I will be able to protect you to your complete satisfaction, then you can leave and I won’t trouble you again…and you’ll owe me nothing. Please remember, the charges against you are serious and can carry severe consequences which could be damaging to your present and your future. You can discover for yourself how I can help save your license and freedom by calling me at 801-612-1511. P.S. In case you’re still undecided about who, if anyone, to go to, let me tell you one final thing–it may be important. My job is to fight for you and fully protect your rights. So I promise to do everything I can to handle any and all charges that have been filed against you.